BuddahDesmond's Place: Happy 1st Anniversary to 'Prevail'! 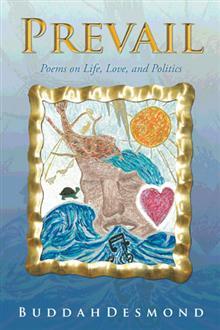 Wow, it's been one year since I published my first book Prevail: Poems on Life, Love, and Politics. I still recall the happiness and sense of accomplishment I felt holding Prevail in my own hands for the first time. Prevail represents a dream come true. I stuck to my guns and made it happen. Not without a lot of support though. I couldn't have done it without those (my spouse, family, friends, and mentors) who've encouraged me along the way. It was a rocky journey making the dream happen. If I'd listened to all the things people told me—that I wasn't good enough, that I didn't fit the mold, that I didn't do things the traditional way (as if that's something wrong)—I wouldn't have this book or anything else published. I wouldn't be working on my next book. I would've stopped writing... I would've stopped doing a lot of things. But I didn't. I persevered. Yet I know there's still much more to do. More dreams to achieve. Still more to learn. More platform building to do. Many more people to connect and build genuine relationships with. More outreach. And I welcome it all. As I say in the introduction of Prevail, "We never know what's coming to us in this life, but we do know that if we get through it—whatever it is—we will be better, stronger, and wiser. No matter what, we know we must prevail." 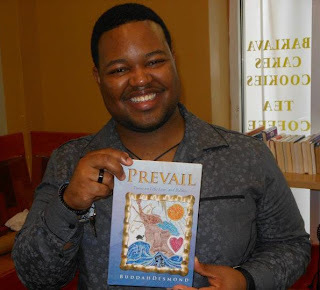 Prevail is available at iUniverse, Amazon (Paperback | Hardcover | Kindle), Barnes & Noble, Book-A-Million (Paperback | Hardcover), and other retailers.